I have also worked on a variety of projects on a freelance basis. Below are some of my favorites. I created this 30 second promotional video for the Academy Theatre’s presentation of Les Misérables. The advertisement aired on local television stations for the two weeks leading up to opening night. I shot the footage on a Nikon D800 and edited it using Premiere and After Effects. 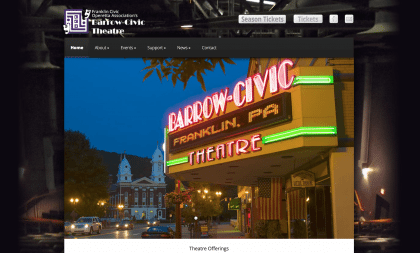 In 2013 I was contacted by board members of the Barrow Civic Theatre to create a visually stunning and responsive website. The theatre needed a way to be able to manage their own content and event calendar. It was also extremely important for theatre patrons to be able to easily access the whole site using mobile devices and allow for ticket purchases from anywhere. Grand Valley Manufacturing is a producer of extremely large, long or heavy industrial parts, particularly for the oil and gas industry. 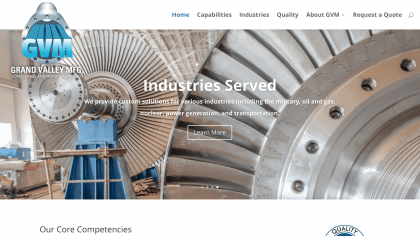 I created this responsive website for the company to be able to reach new clients and accept requests for quotes online.